Get cash for your Chevrolet today! Sell your Chevrolet today and get immediate payment when we pick up your car. We purchase Chevrolets in every city across the United States, sell your Chevrolet now. In order to get started, please fill out our simple form, or give us a call at 1-800-407-1969. We look forward to giving you top dollar for your Chevrolet. Easy – Only takes 3 easy steps to get cash for your Chevrolet today. 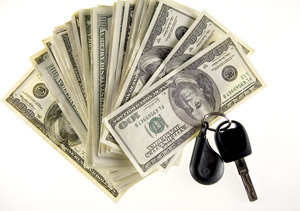 Price – Due to our extensive network of buyers/auctions throughout the United States, National Cash 4 Cars is able to offer you the highest price for your Chevrolet. Free Pick-up – Our drivers are able to come to all cities across the United States to pick up your Chevrolet, and give you your money on the spot. Courteous – National Cash 4 Cars works with its customers across the United States to ensure the smoothest selling experience of their Chevrolet, and strongly values the lifetime partnership with our customers. Stress Free – National Cash 4 Cars buys any Acura make or model, running or not. We buy Acuras in all types of conditions. Get top dollar for your Chevrolet today! The following makes are just some of the Chevrolets that we pay top dollar for: Cavalier, Astro Van, Aveo, Blazer, Camaro, Corvette, Caprice, Colorado, Silverado, Scotsdale, Chevy Van, Impala, Malibu, Monte Carlo, Tahoe, Suburban, Trailblazer & Venture. Cash for Chevrolets today! Expertise – Over 50 years of automotive experience, we are standing by to purchase your Chevrolet today!